WHEN IS A MOTION FOR SUMMARY JUDGMENT GRANTED IN A PERSONAL INJURY CASE? If you’ve ever watched an episode of Law & Order, you’ve probably heard a lawyer use the term “motion.” In legal terms, a motion is a request filed with the court that asks for a ruling on a specific issue. Motions can be filed at any point during court proceedings and can range from motions for dismissal to motions for a new trial. Motions can be filed by the plaintiff or the defendant. 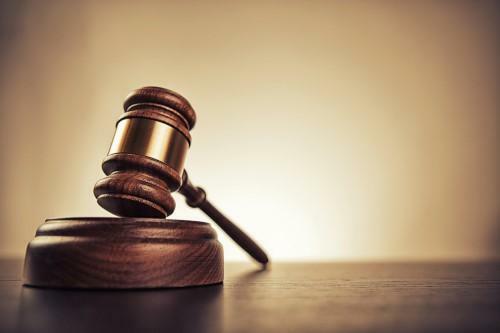 In the case of a personal injury claim, it’s more common that the defendant would be the one to file a motion for “summary judgment.” A summary judgment is used to avoid unnecessary trials. What does this mean for you as the plaintiff? If granted, a summary judgment can end the case before it begins. This means that your case will not be tried by a judge or jury. Why would the defense file a motion for summary judgment? The purpose of a trial is for a judge or jury to determine the facts of a case and, then, make a ruling based on those facts. The defense might argue that all of the facts are known and both sides accept them to be true. They might claim that the defendant has no liability to you for the injuries and damages you received, or they might argue that you haven’t provided any evidence of injuries. Based on that argument, they ask the court to forego the hassle of an unnecessary trial and grant the motion for summary judgment. These motions are certainly not taken lightly. If the defendant files a summary judgment motion, the good news is that the court will consider all available evidence in the best light possible for you, the plaintiff. Summary judgments are not granted quickly or flippantly, so don’t worry that a court would grant one without overwhelming evidence in its favor. How can I avoid a summary judgment? You may have noticed that the attorneys at Taylor King Law really emphasize the importance of documenting all aspects of your case and gathering as much evidence as possible. This is one of the most important ways to guard against a summary judgment. Your attorney will also be sure that you follow all the proper legal procedures, notifying health insurance companies, documenting medical bills, and filing the proper paperwork. As you discuss your case with your lawyer and case management, be honest. You may be tempted to tell your story in a way that puts you in the best possible light, but this will not be good for your case in the long run. Avoid embarrassing backtracking and corrections later in your case by telling the truth from the very beginning. If the defendant does file a motion for summary judgment, your attorney will have a chance to oppose the motion. You’ll need to provide evidence, such as depositions, police reports, eyewitness testimonies, or medical records, that work in your favor. Can I file a motion for summary judgment as a plaintiff? In a word? Sure. While it’s rarer in personal injury cases, there are times when plaintiffs can benefit from filing a motion for summary judgment. For example, in a case heard by the Court of Appeals of Tennessee at Nashville, the plaintiff was injured while helping lift a wheelchair-bound patient when the other paramedic did not follow the proper procedure. Because none of the facts were in dispute, and the paramedic admitted in a deposition that he had violated procedures, the court granted a summary judgment to the plaintiff. If you have questions about the possibility of a summary judgment in your personal injury case, we recommend hiring a lawyer who can help address your concerns. Call Taylor King Law today at 1-800 CAR WRECK for a free consultation about your claim.